The paper suggested that by attacking South Ossetia, the Georgian President Mikhail Saakashvili had badly damaged a planned U.S. military operation against Iran. In the newspaper’s opinion Georgia was supposed to play the role of another “unsinkable aircraft carrier” for the U.S., i.e. an operational and tactical base for U.S.
Georgia would be an ideal bridgehead for a U.S. invasion of Iran, Russia’s NATO envoy said Wednesday. 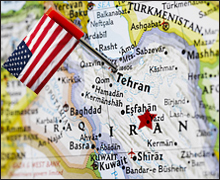 The United States and Israel have consistently refused to rule out the possibility of military action against Iran over its refusal to halt its uranium enrichment. At a news conference at NATO headquarters in Brussels Dmitry Rogozin said that Russian intelligence had obtained information indicating that the Georgian military infrastructure could be used for logistical support of U.S. troops if they launched an attack on Iran. “This is another reason why Washington values Saakashvili’s regime so highly,” Rogozin said, adding that the United States had already started “active military preparations on Georgia’s territory” for an invasion of Iran. “Georgia’s president is ready to make his nation a virtual hostage of a risky military gamble,” he said. “I believe that the secretary of state should be more careful and should show greater calm and responsibility for her judgment in calling for the West to unite against Russia,” Gorbachev said through an interpreter at a press conference held before the Liberty Medal ceremony at the National Constitution Center, the AP reports. 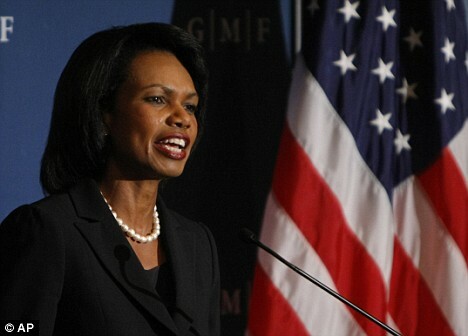 The former Soviet leader commented on Ms. Rice’s remarks, in which she said that the Russian administration had infringed upon the sovereignty and the territorial integrity of Georgia. 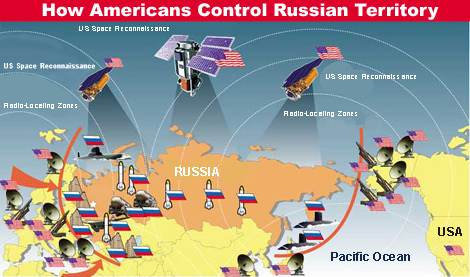 Rice also described Russia’s operation in Georgia as a military occupation and urged Europe to join the United States in the endeavor to suppress Russia’s aggression. “The state leaders must act and conduct a dialogue. One must not lose a connection and preserve the trust that originated during the years of perestroika. Much of this trust has been wasted during the years, but it still remains,” Gorbachev said. 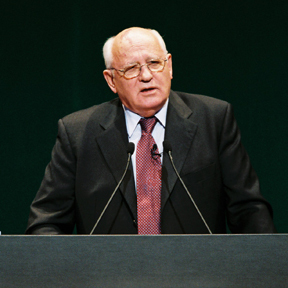 In his speech, Mr. Gorbachev warned the world of the threat of a possible militarization of political thinking. Estimating a historical time period over the two decades, the former Soviet Union leader reminded that the world had not used the advantages, which appeared after the end of the cold war. Millions of people budget themselves to one or two dollars a day and have no drinking water. They suffer from wars and carry the arms race burden, Gorbachev believes. “Being unable to find answers to global challenges, politicians tend to use weapons instead. There is nothing more absurd and running counter to common sense,” the politician said. He did not name any culprits in his speech, nor did he give any more details in the estimation of the recent events and the confrontation between Russia and the West which subsequently emerged as a result of those events. “There is a shortage of political will and political leadership in the world today,” he said. TruthHugger and BlueBloggin have expected this power play for over a year. Bush always has a distraction up his sleeve. With elections so close, Bush is in a hurry to make his move. Time is running out for him to enforce his Executive Order to suspend elections. Perhaps Russia was right to interrupt this administration’s Armageddon fetish. The Rapture Bound will have to wait a little longer.